Woman from Canton Nidwalden, Unterwalden. Switzerland national costumes 1815. 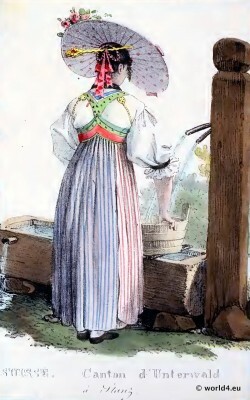 Traditional Swiss costumes.